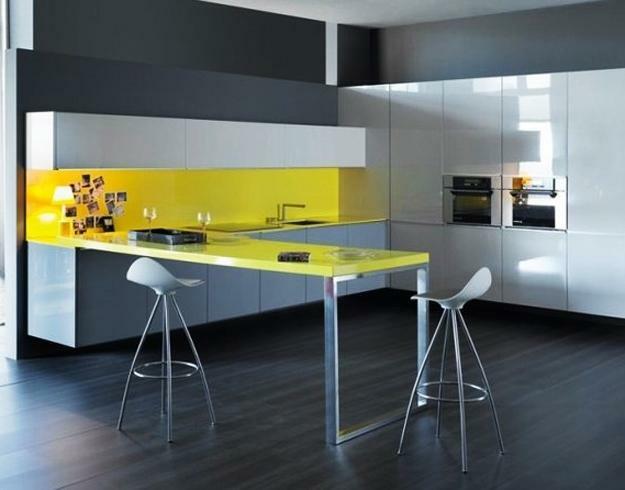 Yellow kitchen colors offer great decorating ideas that brighten up modern kitchen design and bring happy mood into homes. 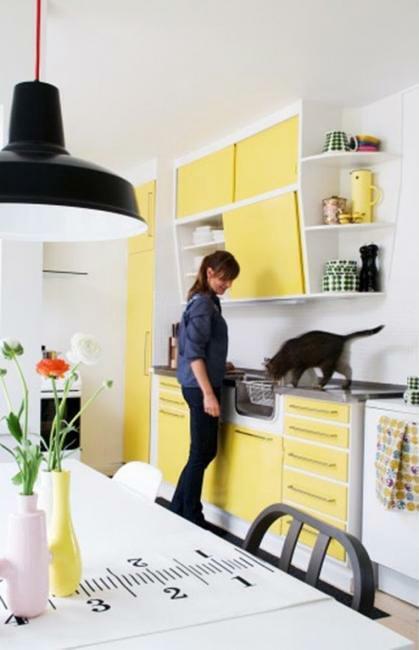 By changing kitchen colors, painting walls or kitchen cabinets, adding furniture and decor accessories in yellow colors, you can dramatically transform your kitchen and create sunny bright, comfortable and modern kitchen decor. 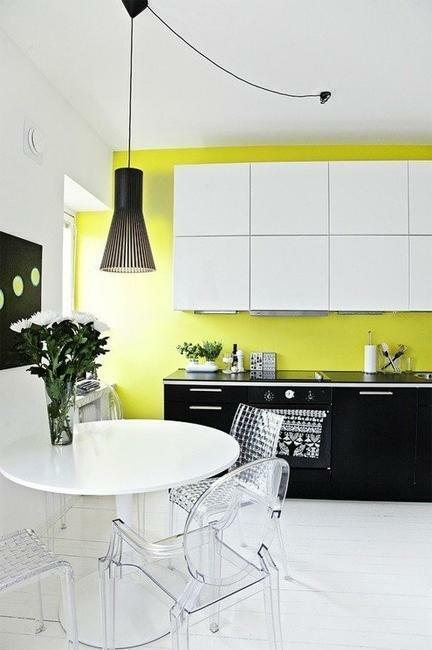 Painting walls or kitchen cabinets bright yellow color change your mood also, making you and your family members feel excited in the morning and appreciate more your beautiful home. 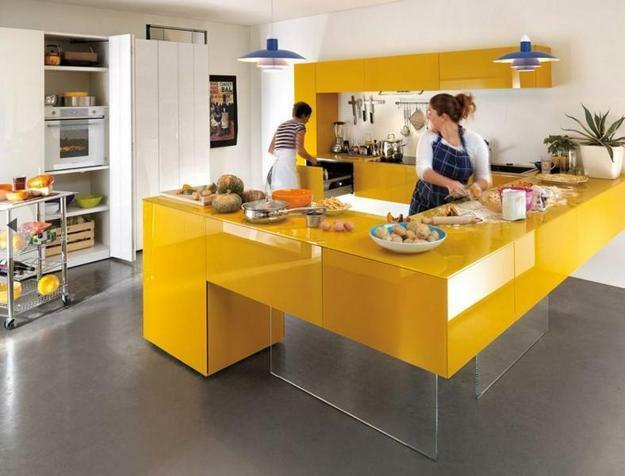 Here is 22 modern kitchen design or decorating ideas that Lushome shares to demonstrate the beauty and versatility of yellow kitchen colors. Yellow color affects appetite and energy level. 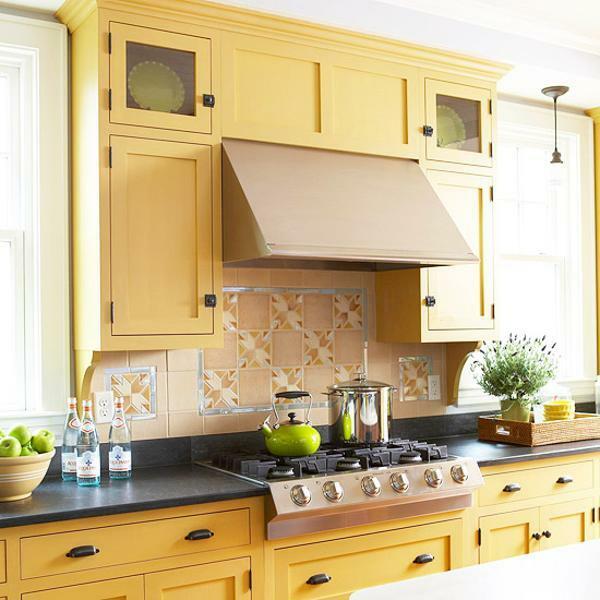 Yellow kitchen colors improve design and decorating, blending sunny warm or pleasant greenish-yellow color shades into modern kitchen design and decor. 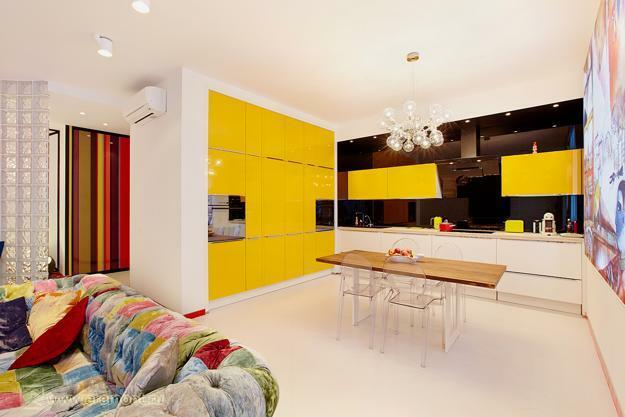 Yellow paint, wallpaper patterns, wall tiles, yellow kitchen cabinets, dining furniture, window curtains, floor rugs or lamp shades in yellow colors are great kitchen decor ideas that create a strong impact on human beings and beautify kitchen interiors. 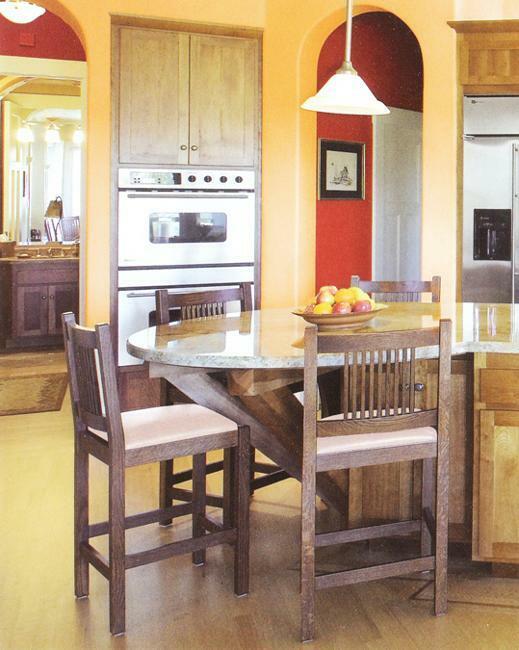 Before deciding to change your kitchen colors, – whether painting walls or kitchen cabinets, or just adding kitchen accessories in golden colors or bright yellow color shades, consider a few facts from color design theory. 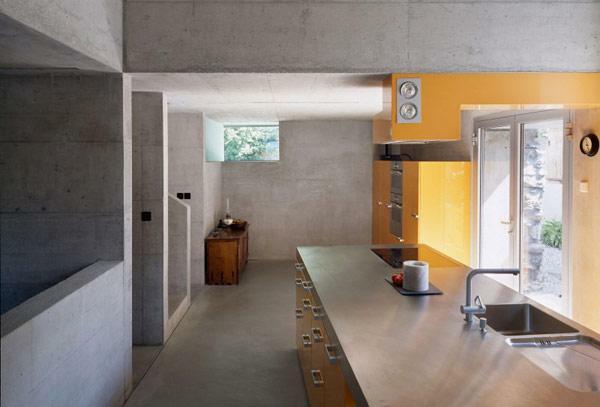 Yellow color shades evoke images associated with heat and sunshine. Yellow color is a warm color, like red and orange. 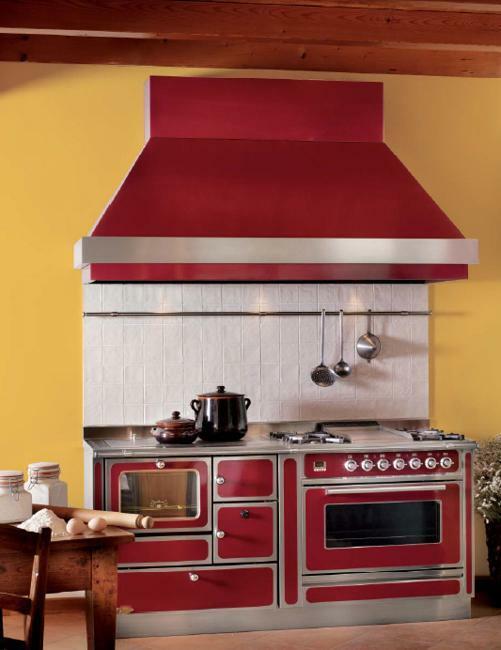 Yellow kitchen colors work well with design ideas and decor accessories in red and orange color shades, creating a feeling of coziness, warmth and energy. 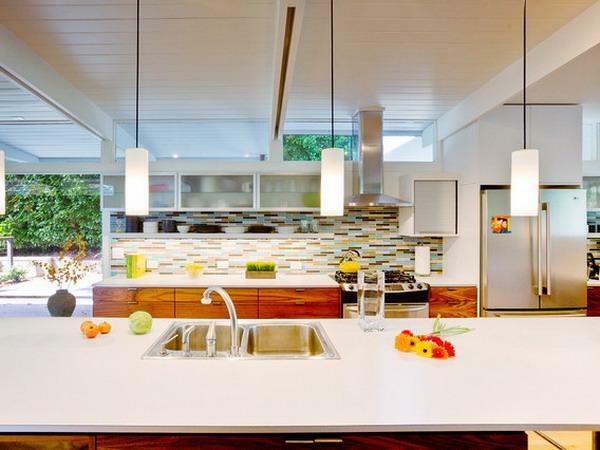 Orange and yellow kitchen cabinets, wall tiles, wallpaper patterns or decor accessories, like curtains, floor rugs or lamp shades, – look softer than elements of kitchen design and decor in red colors. Yellow kitchen colors are friendly and pleasantly warm. 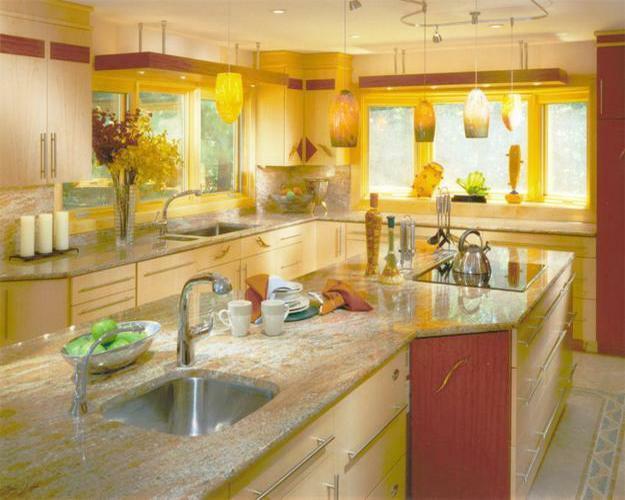 Yellow kitchen colors are ideal for making a statement while creating cozy modern kitchen design and decor. 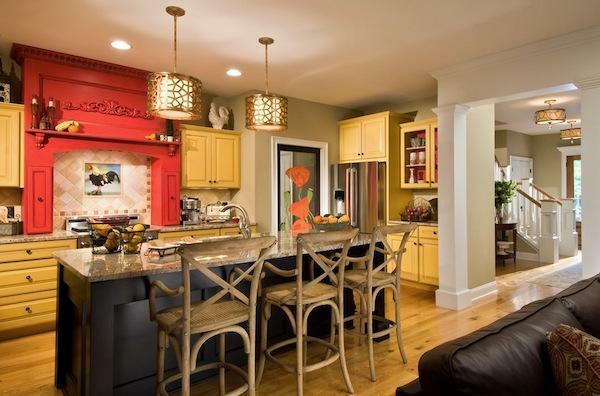 Yellow kitchen cabinets and dining furniture, wall tiles, backsplash designs, lamp shades, curtains, floor rugs and small decor accessories grab attention and catch the eye. 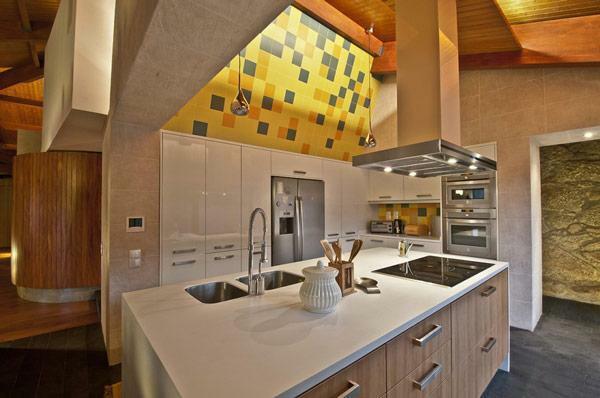 Modern kitchen design ideas that incorporate yellow color into the decorating color schemes lift the mood and improve kitchen interiors in many ways. 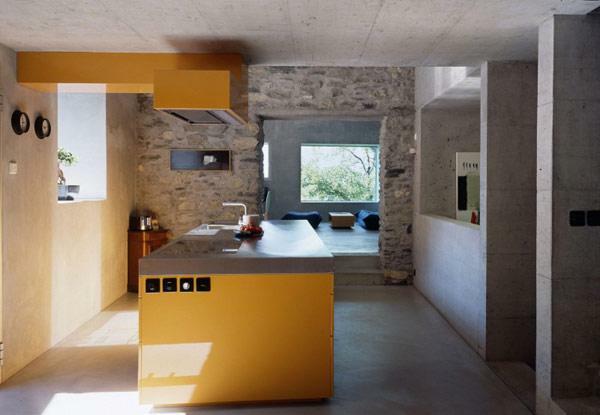 Bright yellow kitchen colors can be too strong. Inspired by seascapes, the kitchen design and decorating color schemes, can include cold hues, like blue and green colors. 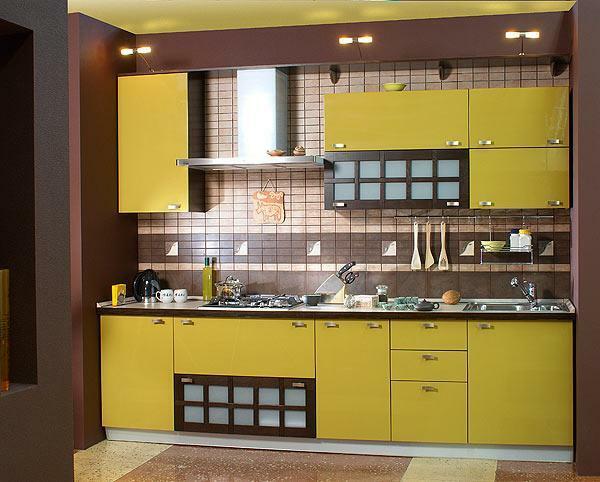 Brown color shades of natural wood add comfort to yellow kitchen design and soften yellow kitchen colors. Blue and green colors bring peace, tranquility and relaxation into modern kitchen design with elements or decor accessories in yellow color. 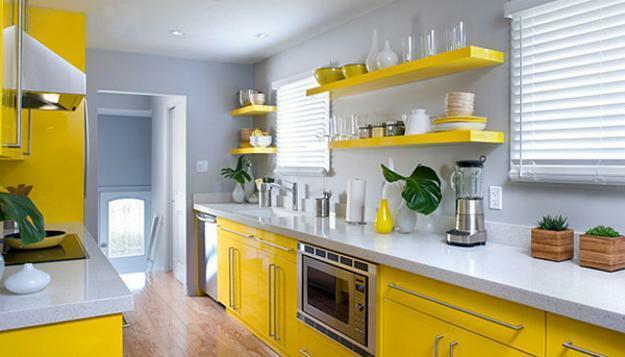 Blue and yellow kitchen cabinets, wall decor or kitchen decor accessories are soothing. BLue and yellow kitchen colors are great for calming kitchen design. 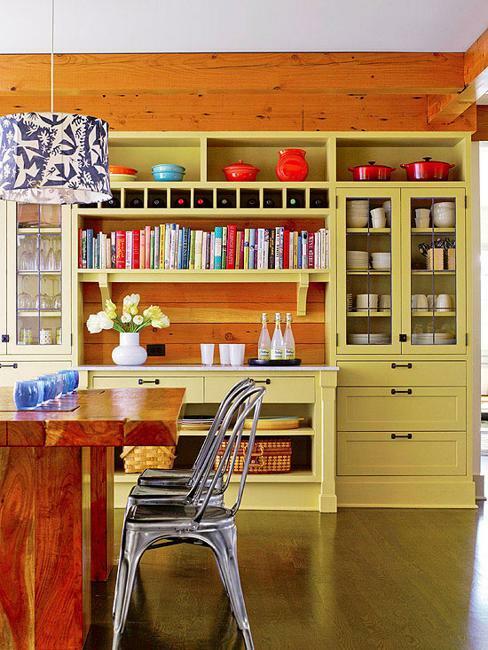 Green and yellow kitchen cabinets, wall decor or kitchen decorating ideas make people feel in harmony, blending the nature into modern kitchen design and decor. 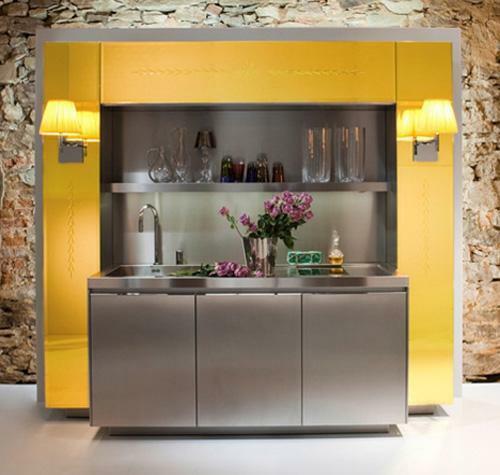 Purple and yellow kitchen cabinets, wall decorating ideas and kitchen accessories look exciting and unusual. 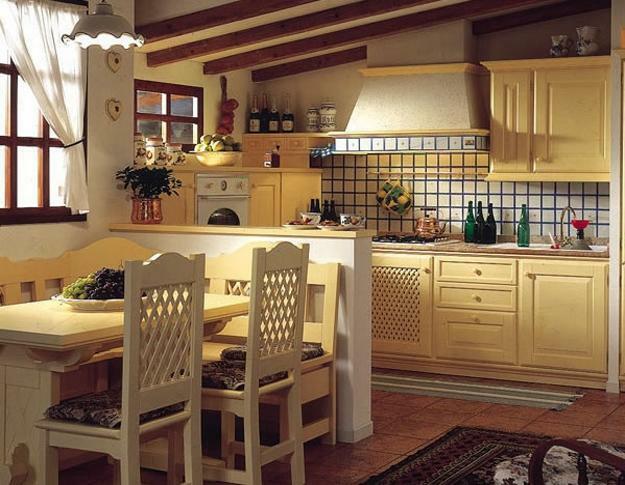 Rosier purple and soft yellow color are great for romantic and unique kitchen design and decor. 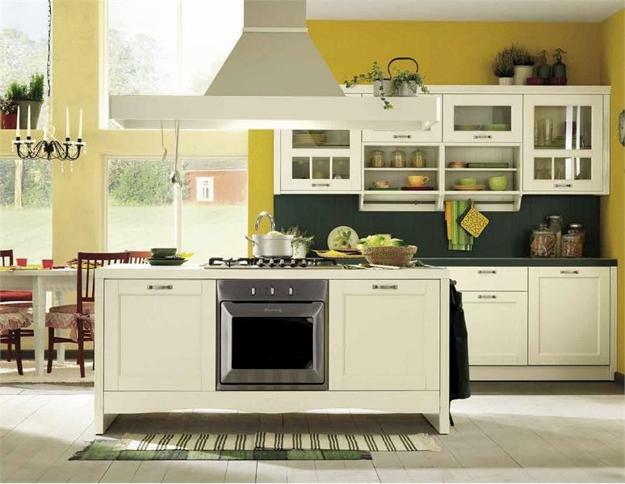 Lime green and bright yellow accents give a hint of green vegetation and juicy fruits, bringing sunny, nature-inspired kitchen decor color schemes into homes and creating spectacular, fresh and modern kitchen interiors. 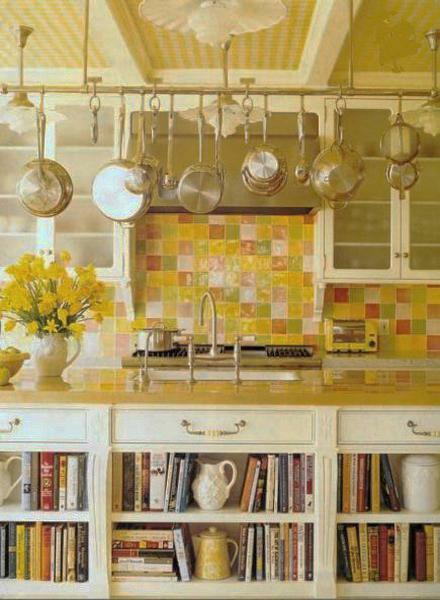 Yellow kitchen colors are great tools to refresh your kitchen design and decor. 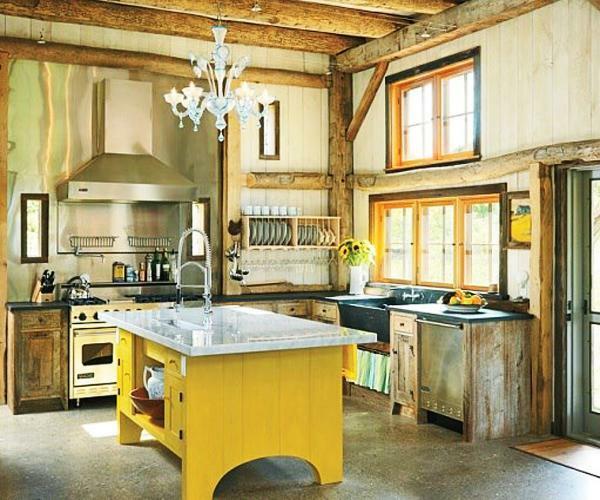 Yellow paint, wallpaper patterns, wall tiles, yellow kitchen cabinets, dining furniture, window curtains, floor rugs or lamp shades in yellow colors are just a few ways to the brighter kitchen interiors.